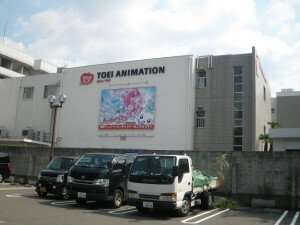 Toei Animation Studio 1F, 2-10-5 Higashi-ohizumi, Nerima, Tokyo, 178-8567 Japan. Mondays, New Year’s holidays, days when exhibits are being changed etc. The Toei Animation Gallery is a museum established to commemorate the 40th anniversary of the foundation of Toei Animation Studio. It exhibits a full array of works taken from the world of Toei animation, from “The White Snake” to “Dragon Ball” and “Sailor Moon.” Visitors can browse among variou8s important artifacts including setup materials and advertisement posters of each period. Toei Animation Co., Ltd. (東映アニメーション株式会社) is a Japanese Animation Studio owned by Toei Co., Ltd. The studio was founded in 1948 as Japan Animated Films (日本動画映画). In 1956, Toei purchased the studio and it was reincorporated under its current name. Over the years, the studio has created a large number of TV series, movies, and adapted many Japanese comics by renowned authors to animated series, many popular worldwide. Hayao Miyazaki, Isao Takahata, Leiji Matumoto, and Yoichi Kotabe have all worked with the company in the past. Toei is a shareholder in the Japanese anime satellite television network, Animax, along with other noted anime studios and production enterprises such as Sunrise, TMS Entertainment and Nihon Ad Systems Inc. 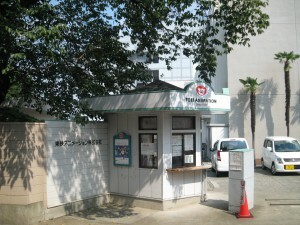 The company headquarters are located in the Ohizumi Studio in Nerima, Tokyo. Until 1998, the company was known as Toei Doga (東映動画株式会社,) (although even at that time the company’s formal English name was indeed “Toei Animation Co. Ltd.”), with “dōga” being the native Japanese word for “animation” which was widely used until the 1970s. Their mascot is the cat Pero, from the company’s 1969 film adaptation of Puss in Boots. Toei Animation produced the anime versions of works by many legendary manga artists, including Go Nagai, Shotaro Ishinomori, Masaki Kurumada, Akira Toriyama and Naoko Takeuchi. In addition, the studio helped propel the popularity of the Magical Girl and Super Robot genres of anime; among Toei’s most legendary and trend-setting TV series include the first magical-girl anime series, Mahoutsukai Sally the anime adaptation of Mitsuteru Yokoyama’s manga of the same name, and Go Nagaii’s Mazinger Z, animated adaptation of his manga, which set the standard for Super Robot anime for years to come. Anime created by Toei Animation that have won the Animage Anime Grand Prix award have been Galaxy Express 999 in 1981, Saint Seiya in 1987, and Sailor Moon in 1992. In addition to producing anime for domestic release in Japan, in the 1980s, Toei Animation also provided animation work for several American animated series for US companies. When you arrived at the entrance gate, you need to register your name at the gatekeeper station and receive the entrance pass before getting into the gallery. A wonderful souvenir, consisting of a few cells of 3.5mm film is given to you from the galley. You can enjoy watching special making movies, promotion previews, and video tapes and DVDs of the past works created by Toei Animation at the salon. Character figures used for Toei Animations and DVDs and other various related goods are exhibited. A part of these character goods and DVDs are available here. 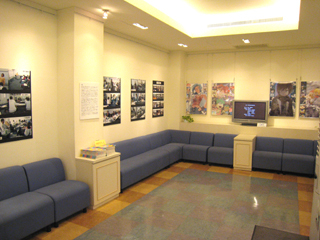 All filmmaking materials and related goods of Toei Animations from the beginning are exhibited. Scenarios, image continuities, creating process of characters, and, original drawing of cells help you to imagine how the animations were made. And also, promotional posters and other related items are exhibited. 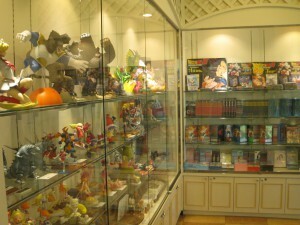 Some of exhibits are shown exceedingly from the gallery and arranged in the showcases placed in the corridor of the Toei Animation Studio. At the early stages of Toei Animation, various clay models of characters were created for helping animators when making films. Only limited remains of these valuable figures are also exhibited. These framed pictures were used as background sceneries for film making. Artistically value of background drawings were regarded as something like “Yamato-e” （大和絵） or traditional Japanese genre painting. Special programmed animation game “The Pretty Cure Series” are prepared for attracting arrival children. Characters from the series for coloring and short puzzles are included in the program. Periodical events are performed four times a year. One Piece, is exhibited to promote DVD Box now on sale. One Piece (ワンピース,) is a Japanese shonen manga series written and illustrated by Eiichiro Oda, that has been serialized in Weekly Shonen Jump since August 4, 1997. 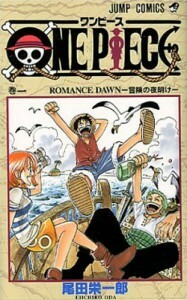 One Piece follows the adventures of Monkey D. Luffy, a 17-year-old boy who gained incredible abilities by eating a magical fruit, and his ragtag crew of heroic pirates, named the Straw Hats. Luffy’s greatest ambition is to obtain the world’s ultimate treasure, One Piece, and thereby become the next Pirate King. The series was adapted into an original video animation (OVA) produced in 1998 by Production I.G. It was later adapted into a full anime series by Toei Animation that premiered in Japan on Fuji Television on October 20, 1999. Since then, the still ongoing series has aired more than four hundred episodes. The anime series was licensed for a heavily edited English dubbed broadcast in North America by 4Kids Entertainment. It has since been licensed for a full Region 1 DVD release and broadcast by Funimation Entertainment in its original and uncut form. In addition to the anime series and OVA, One Piece has been adapted into ten feature films by Toei and multiple video games based on the series have been released. 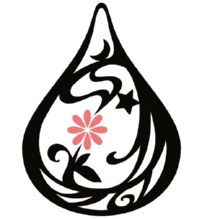 As a certified guide-interpreter in English and also a writer of the website “Cool Japan Guide”, I am very happy to introduce “Toei Animation Gallery”. If you have something to ask, please feel free to contact us. Thank you for your kind cooperation, I am looking forward to your contact.